Vector Illustration Of The Jogging Man And Different Kinds Of.. Royalty Free Cliparts, Vectors, And Stock Illustration. Image 89042520. 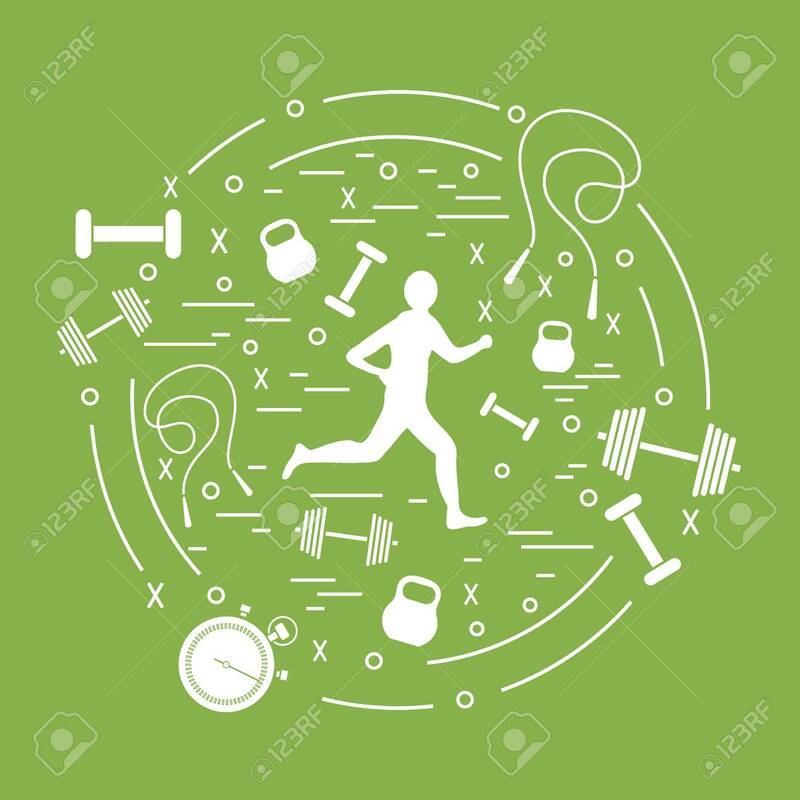 Vector - Vector illustration of the jogging man and different kinds of sports equipment arranged in a circle. Including icons of skipping rope, stopwatch, dumbbells and other.